Traveling should be all about relaxing, enjoying, exploring new places, learning new things and having new experiences. However, when questions like where to go, what and how to see start to emerge, even traveling can be stressful and time consuming. Sometimes, even if you read hundreds of pages, or see dozen of web sites, it is simply not enough. You can still be unsure what to see and do. That is why we are exploring the world for you and pick best of the best, making your traveling much easier. We bring you the top sights and experiences that the places you want to visit offer. Perihla Travel Guides are informative, easy to read and navigate. In our guidebooks you will find everything you need, from history, people, climate to information about accommodation, eating, nightlife, shopping, transportation, service, and more . Our day by day itineraries are made to make your sightseeing as simple as it could be. That is why we say: Travel easy. Travel simple. Travel smart. Travel with us. Take your copy of the Perihla Hong Kong Travel Guide and it will take you by the hand through the essentials of this beautiful city and its top sights and experiences in five days or less. 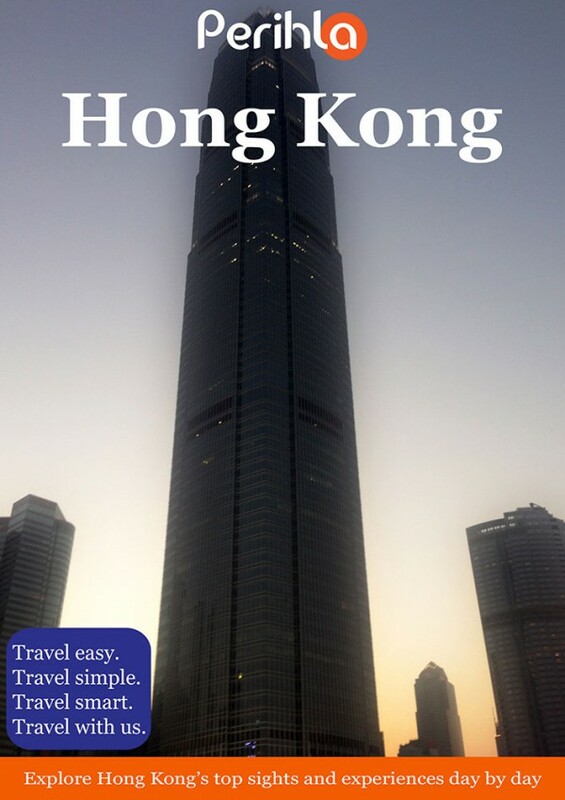 Grab your Perihla Hong Kong guide book and you are ready to go! No more information than you need, no less information than you need. Explore some of the Hong Kong's most important monuments with our convenient walking tours with maps: Stanley, Dragon's Back hike. Visit Macau in a day trip from Hong Kong. Macau walking tour with map is also included. Hong Kong for children with our selection of the best attractions for the youngest. Great and useful color maps.